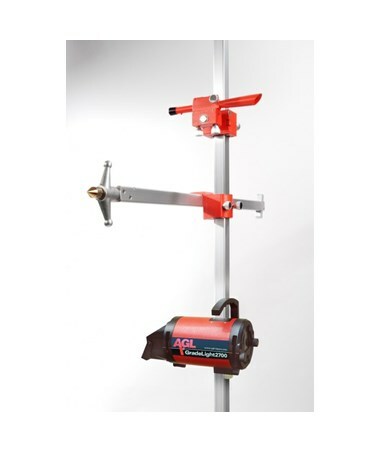 The AGL Rod and Crossbrace System 11-0336 mounts pipe lasers above manholes. It fits manholes 30 to 60 inches wide, offers one-person alignment, and adjusts its attached laser to multiple heights. The Rod and Crossbrace system also works with a transit and can be connected to additional sections. The rod in this package is a graduated, steel rod that adjusts to multiple heights. So once your pipe laser is connected to the rod, you can change its height freely by moving it down closer to the manhole or up closer to the crossbrace. The crossbrace itself is a crossbeam that also shortens and lengthens, which allows it to stretch across manholes anywhere from 30 to 60 inches in diameter. The pipe laser can also be connected to the crossbrace for above ground projects. Although the AGL Rod and Crossbrace System is versatile and quickly adapts to any job, it can be attached to additional sections. It is designed for use with the AGL GL2700 or GL3000 pipe lasers, but it can easily be used with any brand of pipe laser, tunnel laser, sewer laser, or pipe jacking laser. 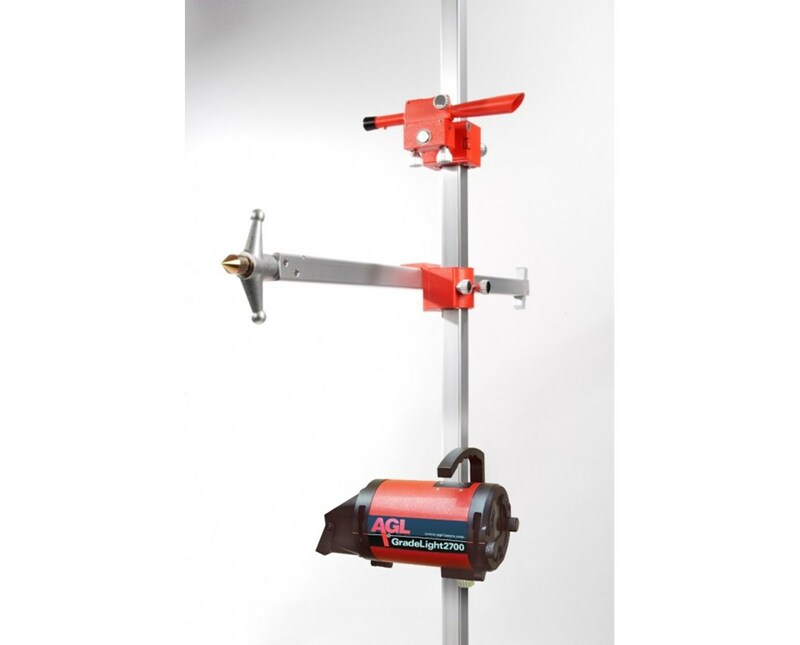 The rod and crossbrace can also be connected to a transit giving construction professionals the ability to set up the rod and crossbrace system with just one person. With this package, you receive a base plate, rod point, three calibrated rods (0−2.5 ft., 2.5−5 ft., 5 ft.), manhole crossbrace, and carrying case. The individual package items are also available for sale seperately.